Turmeric Root has been greatly researched for its antioxidant, antimicrobial and liver supportive properties, and also its possible part in helping to maintain proper inflammatory response and healthy detoxification. This is through possible enhancement of the activity of two enzymes crucial to liver health, glutathione-S-transferase and UDP glucuronyl transferase. This adult organic food supplement from Terranova is suitable for vegans and contains no wheat, gluten, preservatives, flavours, colours, sugar, additives, animal products, dairy soy or corn and there are also no fillers, binders or other exipents used. Directions for use: Take 1 to 3 capsules daily with food. Do not exceed stated dose unless directed by a healthcare practitioner. 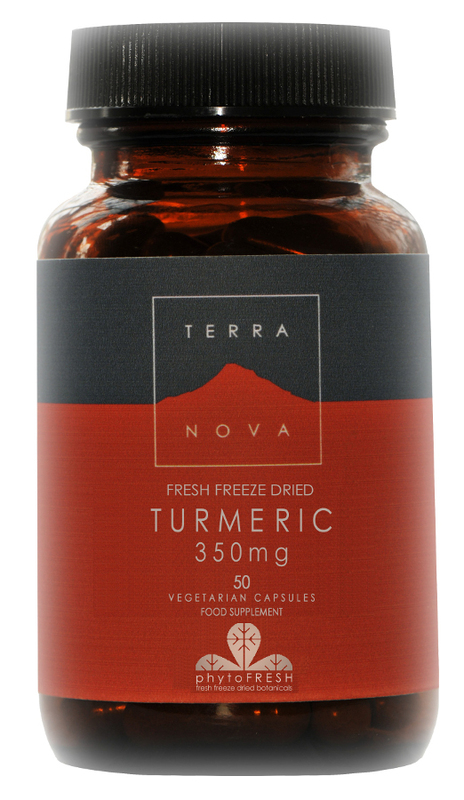 One capsule provides Turmeric Root (fresh freeze dried - organic) - 350mg (Curcuma longa). The Terranova Vegan Organic Turmeric Root Supplement 350mg - 50 Capsules product ethics are indicated below. To learn more about these product ethics and to see related products, follow the links below. 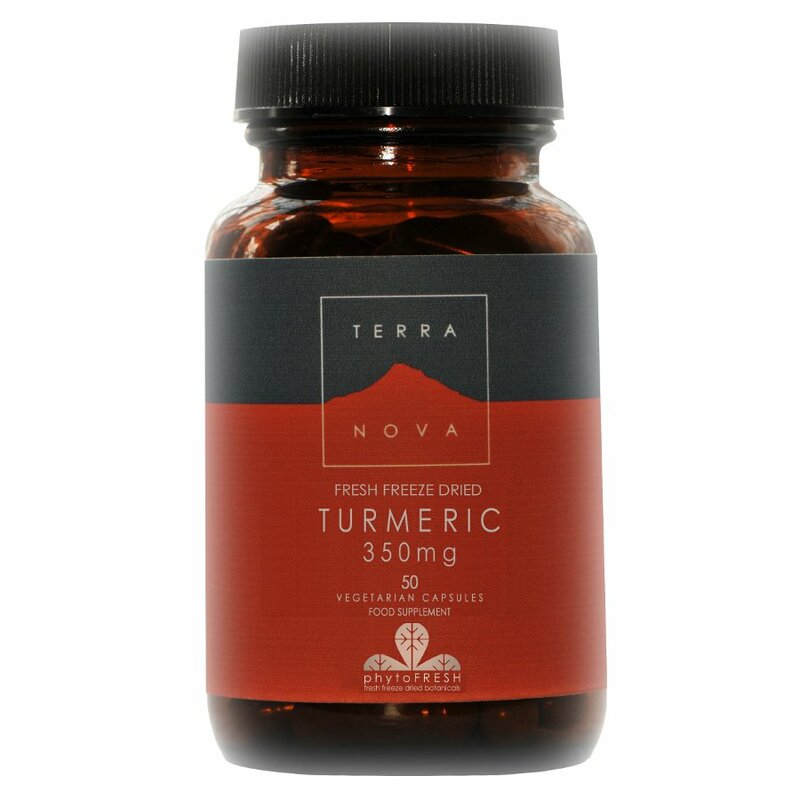 There are currently no questions to display about Terranova Vegan Organic Turmeric Root Supplement 350mg - 50 Capsules.